The Native Hope team is back with some updates on our work in the last month! Through the power of the internet and social media, we are able to have larger conversations with the country and world about Native life and healing through storytelling. However, we are equally committed to working in the field for good in our local South Dakota community and wherever else the mission of Native Hope is needed. In our "In the Field" posts at the end of each month, we get to share with you all the work that's taking place on the ground in our communities and give a glimpse of how healing through storytelling takes place in concrete terms. Here's what we've been up to during the month of November. November 1- This year, we decided to honor Native American Heritage Month by focusing on hearing your stories of hope and healing. We launched the #StorytellingHeals movement and have spent the month hearing powerful testimonies from Natives and non-Natives about what hope and healing mean for them. Somáh Haaland, daughter of one of the first Native American women elected to Congress this November, shares her story of coping with trauma. If you want to participate in this movement, we want to hear from you! 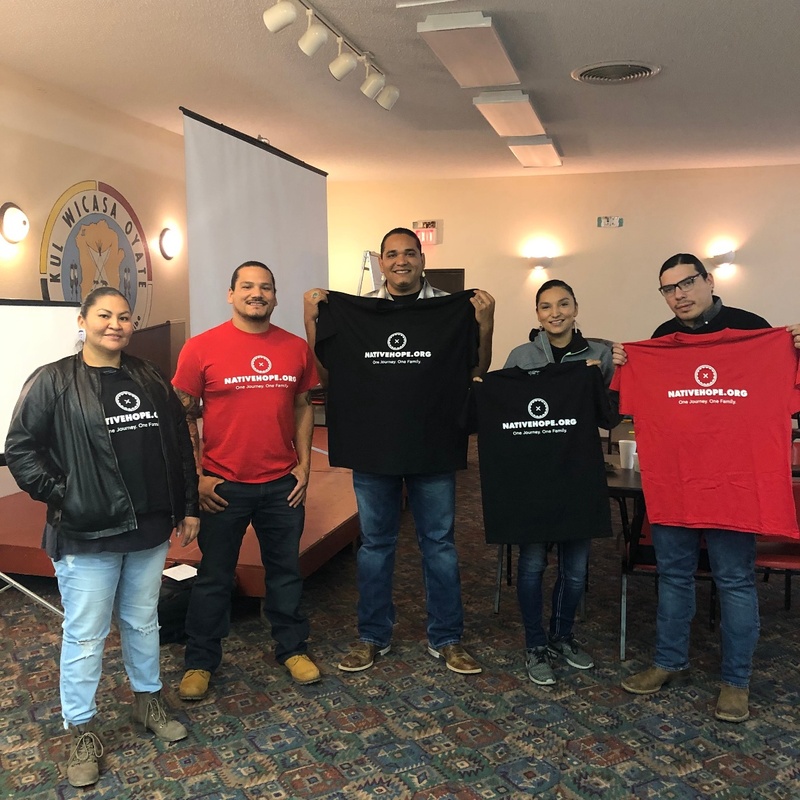 November 12 - Native Hope Ambassadors Kansas and Kyal Middletent, along with Native Hope Director, Trisha Burke addressed the Chamberlain, SD, High School, Middle School and Elementary teachers during a school district in-service. 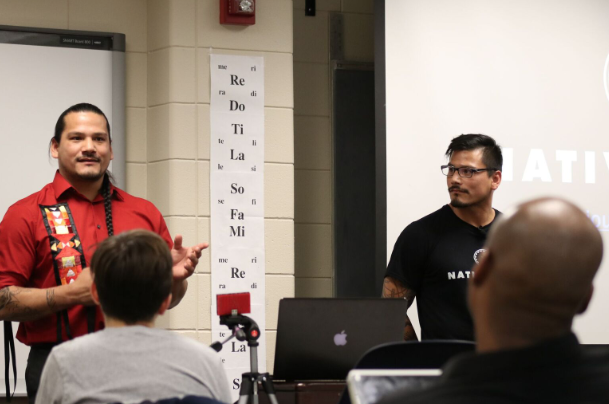 The trio delivered two separate presentations where they each discussed the mission of Native Hope, their personal reasons for working for the organization, and the need to dismantle barriers for Native students. Kansas explained that he enjoys working with community members and the youth as a unified force: Native and non-Native. “We are all part of the circle, and we must have each other’s backs,” he explained. 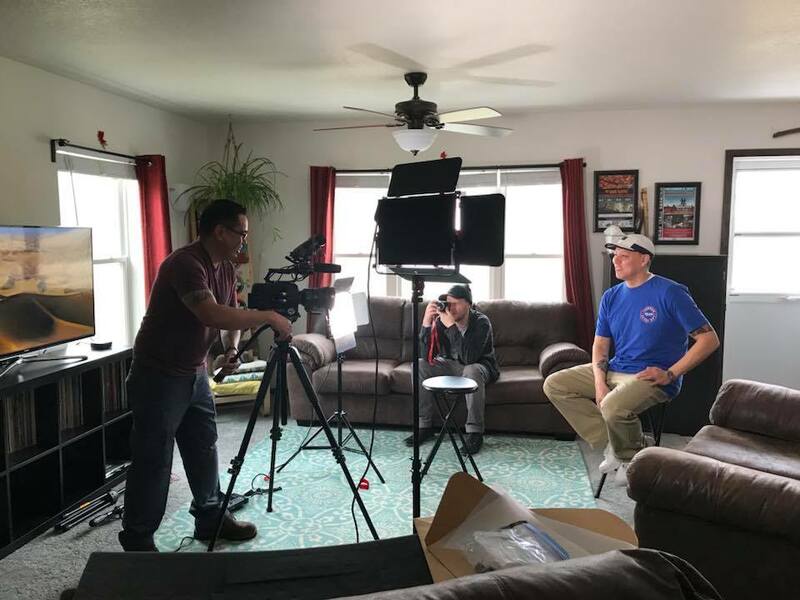 “Native Hope’s mission is to dismantle barriers through empowering kids with knowledge and positive interactions.” In various ways, Kansas has been living his words through coaching area students involved in the local youth football and basketball programs. Additionally, Kansas and Kyal are Junior Achievement leaders, who work with youth on career goals. With complete candor, Kyal shared a memory of his experience within the Chamberlain school system—he was bullied for wearing a rummage sale shirt that his mom had purchased from another student’s rummage sale. He explained, “I was hurt and embarrassed, so I did what I could to defend myself.” Unfortunately, Kyal’s actions led to his suspension from the elementary school for fighting. The story was shared not to degrade the school but to illustrate the battles that many Native children face. He told the audience that he now feels accepted in Chamberlain, but it was a hard fought battle, one that he hopes to help make more positive for the kids today. “We [teachers] felt the presentation was very relevant for many of our students,” shared one CHS teacher, “We are going to ask them [the twins] to speak to all the English and Speech classes!” A comment which turned to a reality, see the story below! 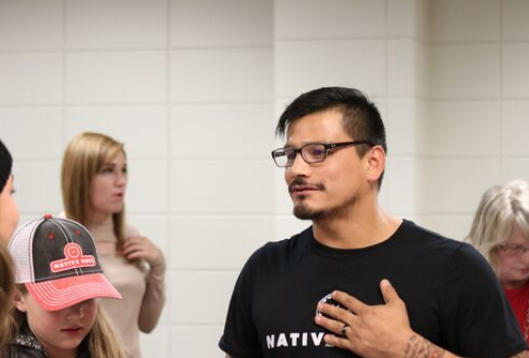 November 15 - In the evening, Native Hope staff presented facts on Native American history to a classroom at Augustana University in Sioux Falls, South Dakota. Presenters included Trisha Burke, Kyal Middletent, and Kansas Middletent. The group presented the Untold Story of Native America in three parts and from three perspectives. Kansas reminded the students how easily culture biases can be formed; Trisha explained her educational journey—myth vs. fact; Kyal reviewed the broken treaties and the effect on the people, past and present. A majority of the students attended as part of a Diversity and Inclusion class and others out of interest. 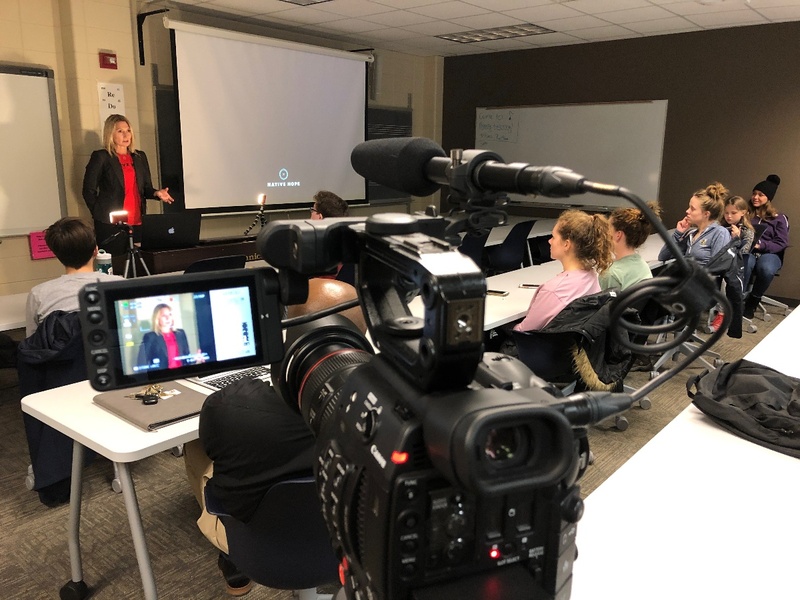 Also in attendance was the organizer of the event, Augustana’s Dean of Students Mark Blackburn and a Human Trafficking Case Researcher for Native American communities from a Call to Freedom. Native Hope office staff Kim Kontz and Alexis Estes provided audience members with take-home informational packets on cultural awareness. Native Hope media was also present, including members; Mark Lewis, Orlando Skidmore, and Erik Hickey. Native Hope media documented this presentation and are soon to have it available on the Native Hope website. “My students told me that we need more presentation like this one to raise awareness [about marginalized populations],” remarked Blackburn. The event was an excellent showcase of what Native Hope has to offer. 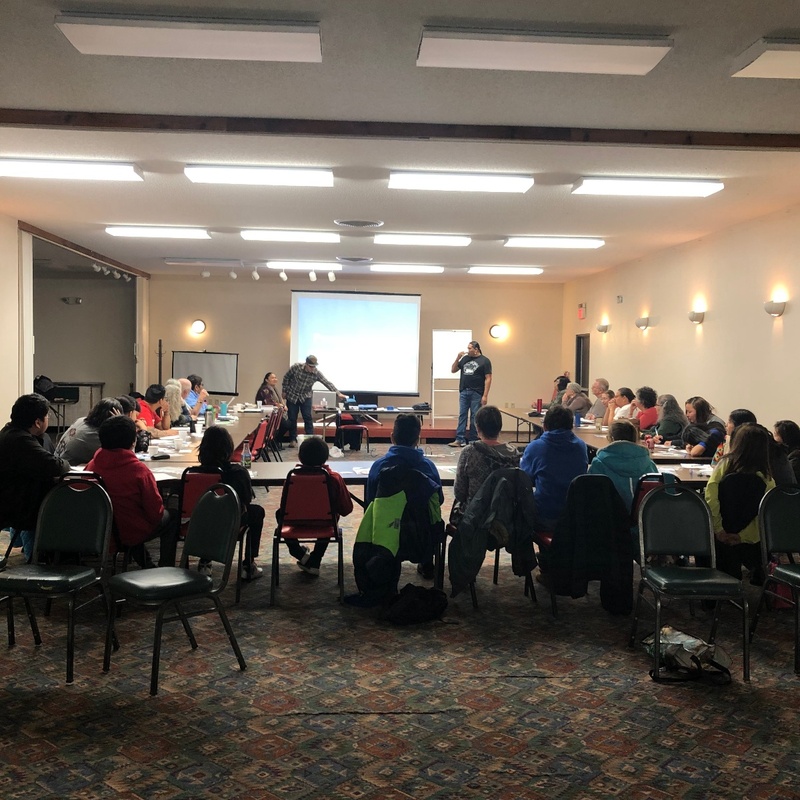 November 17-18 - Native Hope partnered with Lakota Language Consortium (speakers) and Golden Buffalo Casino to host “Lakota Language Weekend.” This two day classroom workshop was held in Lower Brule, South Dakota. 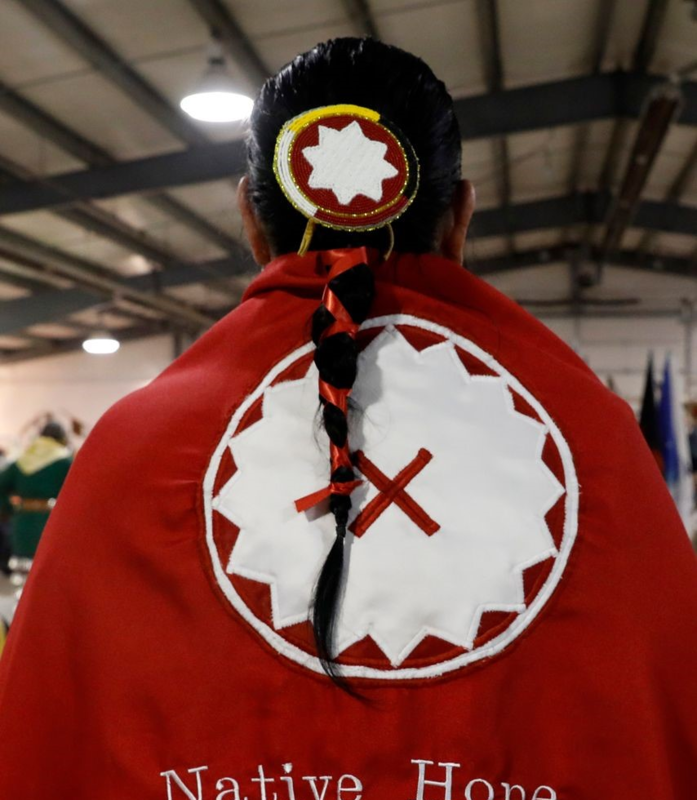 This was held as part of the effort to restore learning and sharing the Lakota language in a Lakota community that currently has less than 10 fluent Lakota speakers. The workshop had a successful turn out, and brought together Lakota educators and students from Lower Brule, and across South Dakota. Native Hope ambassador Kansas Middletent coordinated the event, with support from the NH team. Members of the team attended portions of the weekend as participants. Ali Moran, who ran for the South Dakota State Senate for District 28, represented her community of the Cheyenne River Sioux Tribe in her efforts to retain the Lakota Language. November 19 - November is known as Native American Heritage Month, honoring the many Tribal Nations. The local elementary school invited several Lakota and Dakota people to share cultural stories and teachings to the students throughout the month. Among the guests who were proud and honored to share their stories was our Ambassador Kyal Middletent. Kyal read one of his favorite childhood stories, The Great Race by Paul Goble, to the 4th grade class and afterwards he shared the version his Grandmother had shared with him growing up through the old tradition of oral storytelling. Lakota and Dakota stories were never written down on paper or transcribed until recent times. Many Families and Tribes all have their own way and versions of the story. Kyal explained “I only share the way it was taught to me, you may hear this story again in the future and it maybe explained differently, but always the same moral or teaching comes with it.” That’s the best thing about storytelling. No one person is right or wrong about a story. These are stories our grandmothers and grandfathers told us to keep us entertained and to teach lessons of thanks, or respect, but most importantly these stories keep us connected to our ancestors and our culture. November 20 - The Chamberlain High School invited Ambassadors Kansas and Kyal Middletent to speak. The brothers spent all morning and afternoon with several different classes of students grades 9-12. They led ice breaker games then shared many stories touching on a variety of topics. Each brother has a unique style and way to share stories from their childhood to their journey that led them to Native Hope. 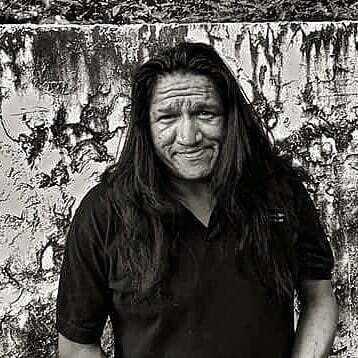 Kyal shared stories of humility and fortitude, but also explained how respect, generosity and all other Lakota values lived everyday can help us all live together no matter who you are, Native or not Native. Besides sharing cultural stories and teachings, Kyal shared his personal journey about a tough upbringing and how he has overcome those trials to make it to where he is today. His journey was not only inspiring but it motivating. One CHS student said, “I can personally relate to the things you said, you guys are great, and I’m proud to say we are from the same Tribe." Overall the Chamberlain students loved having Kansas and Kyal in the their classroom and hope to have the Native Hope Ambassadors back, with a suggestion that the twins’ messages and stories need to be told in all schools. When we get to bring the mission of Native Hope into schools, communities, and other gatherings, we are always inspired to see the excitement, hunger for healing, and hope that is all around us. People are eager hear more about the untold stories of Native Americans, to learn more about Native languages and culture, and to share their own stories in return. Thank you for being a part of the Native Hope journey! Interested in getting involved with Native Hope? Share your story with us and tell us more about your Native Hope! Previous PostWhat Does Thanksgiving Mean to Native Americans?